Lithium battery technology is relatively new when compared to lead acid batteries which have been around for 100 years or so. Despite lithium batteries being used in phones and laptops for decades there is a lot of misinformation in the public domain around lithium batteries in particular surrounding their safety. So, we have compiled a comprehensive FAQ database which will hopefully answer your most common questions or concerns. What does the MBS do? Our Battery Management System (BMS) is made up of a printed circuit board which monitors and manages the 4x 3.2V lithium cells to ensure they are charged and discharged together and at the same rate. It also provides protective features to prevent over charge and over discharge of the cells, keeping the battery within a safe operating envelope. Our innovative BMS is also designed to be able to draw up to 200A continuously and 500A for 30 seconds on the load side and charge at up to 150A. 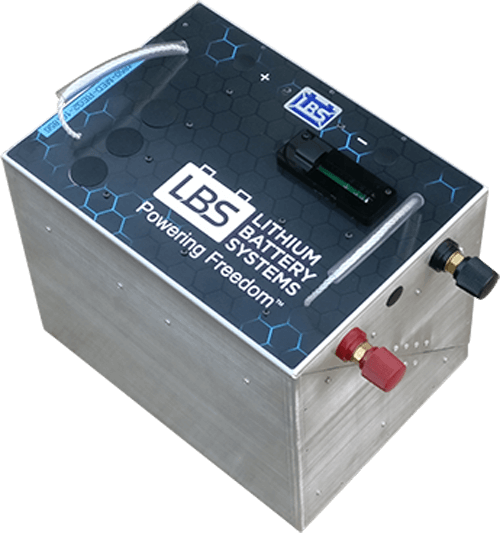 A Battery Management System (BMS) is a key part of a lithium battery. Unlike lead-acid batteries which do not require a BMS, lithium batteries do. BMS primarily is a circuit board which manages, monitors, controls and protects the lithium cells from being over charged or over discharged, which can lead to permanent damage or in the worst case lead to fire. It also needs to be able to disconnect your battery before the cells go outside of their safe operating limits. Therefore it is vital that your investment in a lithium battery is not compromised by using an inferior BMS. That is why we have opted to design and engineer our very own BMS right here in Brisbane, Australia – so that we can control its functionality, quality and reliability. Can I use a volt meter to display state of charge? Yes you can but it is less of a drop in voltage. Lithium batteries when fully charged rest on 13.3V-13.4V for a nominal 12V system and they hold their voltage right until the end of cycle and only then drop by approximately 0.5V-1.0V when they reach close to 90% discharged. Lead based chemistry in lead acid and AGM batteries have a more linear rate of voltage drop and by half way through the cycle they have dropped 1V and by end of cycle they are 2-3V lower. This is why inverters often go into error because of voltage drop at the end of cycle with lead acid batteries. Lithium batteries hold their voltage better, sit at a higher resting voltage and are a better option to avoid inverter errors for heavier loads. You can still infer the state of charge with lithium battery voltages but the voltage drop is subtle and less accurate than the greater drop in lead acid batteries. Does the battery come with a display? A remote display is an option listed on the datasheet for most of our batteries batteries. The remote display is a LCD screen control panel (connected via cable to our battery) which gives you access to vital information like SOC (state of charge), hours remaining at current usage rate, voltage, temperature etc. Can I use my existing chargers with your lithium battery? In most cases yes, but it is best to contact us first to confirm. 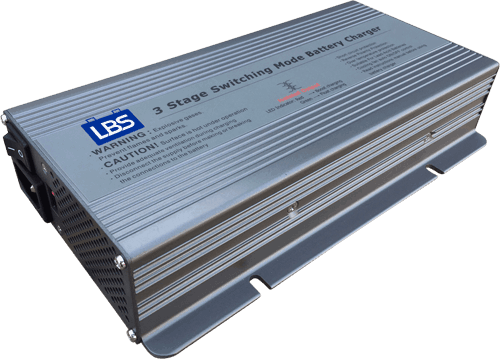 We will let you know if your charger, whether it be solar, DC from the alternator or AC mains charger is compatible with our lithium batteries. How fast can a lithium battery be charged? Our 100Ah lithium batteries can be charged in one hour with the correct chargers which is 2.5 times faster than lead acid batteries. 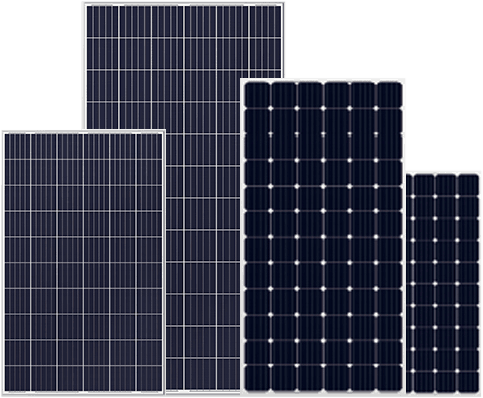 You can charge our lithium batteries at 100A total, which could be a combination of solar, DC and AC chargers. Are lithium batteries cost effective? Our lithium batteries deliver at least 6 times more usable amp hours over their lifetime compared to lead acid batteries. This reduces the cost of replacement, installation and inconvenience every 3 years, saving you money in the long run. You have to look at the total life cycle of the battery and not just the upfront cost. Why should I consider a lithium battery for my RV? Weight – lithium batteries are half the weight as lead acid equivalents which is important in an RV. A 100Ah lead acid battery weighs around 30kg, whereas our 100Ah lithium battery is 15kg. Depth of discharge (DOD) – lithium batteries can be safely discharged to 80% DOD compared to typically 50% DOD for lead acid batteries. This means for a 100Ah battery you have 80Ah available to use with a lithium battery and only 50Ah with a lead acid. Constant voltage – lithium batteries discharge at more or less a constant voltage until they reach around 80% DOD, after which the voltage begins to drop off. Compare this to a lead acid battery where voltage begins to drop as soon as power is drawn. This means that with a lithium battery, low voltage disconnects to protect appliances are not activated before the battery is empty like they are with a lead acid battery. Cycles – lithium batteries last a lot longer than lead acid batteries, in that you can cycle them more times before they need to be replaced. Our lithium batteries are rated at 2,000 cycles times at 80% DOD compared to a lead acid battery at 500 cycles. Power output – our 100Ah lithium batteries can discharge at up to 250A which is made possible by our BMS. Many other 100Ah lithium batteries used in RV’s limit you to 100A. 100Ah AGM batteries struggle to provide even 100A. Being able to discharge at 250A allows the RV owner to run high power appliances such as microwaves, kettles, coffee machines etc. Do lithium batteries explode or catch fire? No not LBS lithium batteries. Some lithium batteries have been dangerous because they cut corners, use a cheap BMS and/or use a different lithium chemistry to the one that we use. It’s similar to the fuel in the fuel tank of a car containing stored energy. Petrol sloshing around in a cheap bucket is dangerous but protected by a reputable fuel tank manufacturer, the fuel is perfectly safe to use and store. Well designed lithium battery systems are safer than Lead Acid chemistry which can vent flammable hydrogen gas and swell up when overcharged. Lithium batteries vent no gases. At Lithium Battery Systems we take safety as the primary design criteria and have delivered a solution based on our “Triple Guard” methodology. 1) We have chosen the safest chemistry of lithium cells being Lithium Ferrous (iron) Phosphate (LFP) and we only use prsimatic cells that are encased in a safe Aluminium casing. 2) We electrically protect the system using our proprietary Battery Management System which disconnects, isolates and balances cells to keep them electrically safe. 3) We then place the whole battery assembly into another Aluminium outer enclosure. Lightweight yet robust to protect the entire package from knocks and accidental puncture. Lithium Battery Systems lithium batteries are lightweight, safe and powerful.